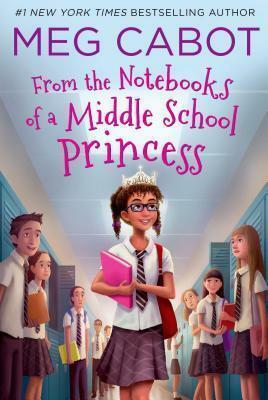 Return to the world of Meg Cabot's bestselling and beloved Princess Diaries series in From the Notebooks of a Middle School Princess--this time through the illustrated diary of a spunky new heroine: Princess Mia's long lost half-sister, Olivia! Olivia Grace Clarisse Mignonette Harrison is a completely average twelve-year-old: average height, average weight, average brown hair of average length, average brown skin and average hazel eyes. The only things about her that aren't average are her name (too long and princess themed), her ability to draw animals (useful for her future career as a wildlife illustrator), and the fact that she is a half-orphan who has never met her father and is forced to live with her aunt and uncle (who treat her almost like their own kids, so she doesn't want to complain). Meg Cabot is the #1 New York Times bestselling author of the Princess Diaries series. Born and raised in Bloomington, Indiana, Meg also lived in Grenoble, France, and Carmel, California, before moving to New York City after graduating with a bachelor's degree in fine arts from Indiana University. She is the author of numerous books for adults and children, including five #1 New York Times bestsellers. Over twenty-five million copies of her books have been sold worldwide. Meg Cabot currently lives in Key West with her husband and cat.